A few weeks ago at the Landmark Loews Jersey Theatre, in Jersey City’s Journal Square, I saw Ninotchka, starring Greta Garbo. I was immediately taken with her talent, her beauty, and her Swedish accent and wanted to see more of her films. All I knew about Greta Garbo prior was that Madonna name-checked her in the song “Vogue” and that she was one of the biggest film stars in 1920s and 1930s. Garbo had an impressive career in film, starting with silent movies in the 1920s–one to note is Flesh and the Devil from 1926. She transitioned to “talkies” in 1930 with Anna Christie. During her career, Garbo was nominated for four Oscars in the Best Actress category and won an Honorary Award from the Academy in 1955. After World War II Garbo retired from acting and moved to New York City, where she lived until her passing in 1990. 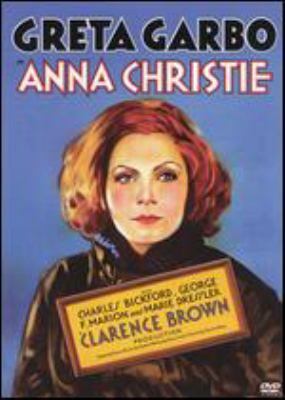 Greta Garbo’s first spoken line is heard in this movie, a film adaptation of a Eugene O’Neill play of the same name: “Gimme a whiskey.” Garbo plays the title role (for which she earned an Oscar nomination), a former prostitute from the midwest who comes to New York City to see her estranged father, a sailor who left after her mother passed away. She falls in love with another sailor that she and her father rescue, but worries that her past will impact her future happiness. The lighting is dark throughout the movie, which is extra striking since this picture is in black and white, and adds to the mood of the film. Grand Hotel is set in a fancy hotel in Berlin and tells the intertwined stories of the hotel’s guests. Garbo plays Grusinskaya, a melancholy ballerina, who speaks the famous line “I want to be alone.” John Barrymore (whose character owns a dachshund, the cutest dogs in my opinion! ), Lionel Barrymore, and Joan Crawford also star in the film, which won the Best Picture Oscar in 1932. 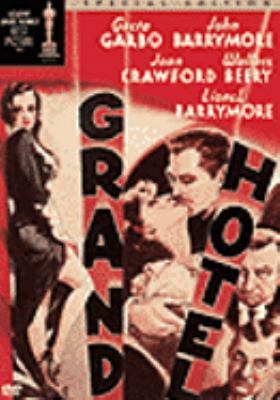 As this film is set in a hotel, comings and goings are major theme. The Grand Hotel’s lobby even has a circular design, including a set of huge and ornate revolving doors. Check out this film if you want to see classic cinema at its finest. Ninotchka was released in 1939, an excellent year of cinema, which my colleague Lois has discussed in her post about The Wizard of Oz. In her first comedic role, Garbo plays Ninotchka, an envoy from Russia who comes to Paris after her colleagues Razinin*, Iranoff, and Buljanoff (a trio that reminded me of The Three Stooges) lose track of their mission. There she falls in love with Leon, played by Melvyn Douglas. 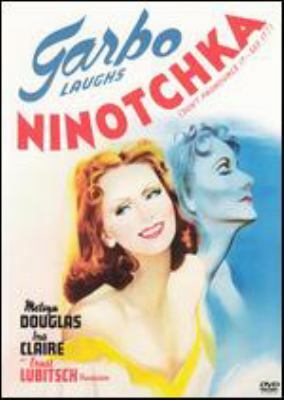 A notable fact about this film is that it is the first time that Garbo can be heard on screen laughing–note that tagline on the image, “Garbo laughs”. My favorite scene is when Ninotchka gets kicked out of a ladies’ room at a swanky lounge for drunkenly preaching about how much she loves communism. Are you a fan of Greta Garbo’s or of classic cinema? *Bela Lugosi played Razinin, and every time he was on screen I thought of the classic goth song by Bauhaus, “Bela Lugosi’s Dead”.